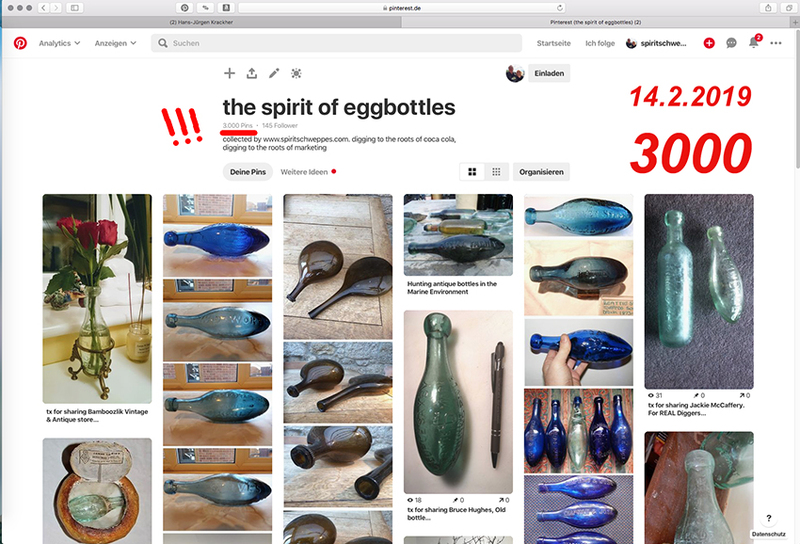 World most modern page for early glas ?! Hans-Jürgen Krackher Dear Marcus Dance, AUS, unfortunately this is the problem of marketing by concessionaires. J.Schweppe since 1783, Schweppe´s Ltd, Cadbury Schweppes, the British roots – the values of the first real world brand – everything has gone. There is no longer a factory called Schweppes, and the Trade Mark belongs to the Japanese liquor company Suntory. Today, Schweppes products are produced worldwide by Coca Cola, Pepsi Cola or by large beer brands, in Germany by Krombacher Pils. This means, that the regional bottler of concessionaire brands do not feel passionately responsible for the history and value of the brand. 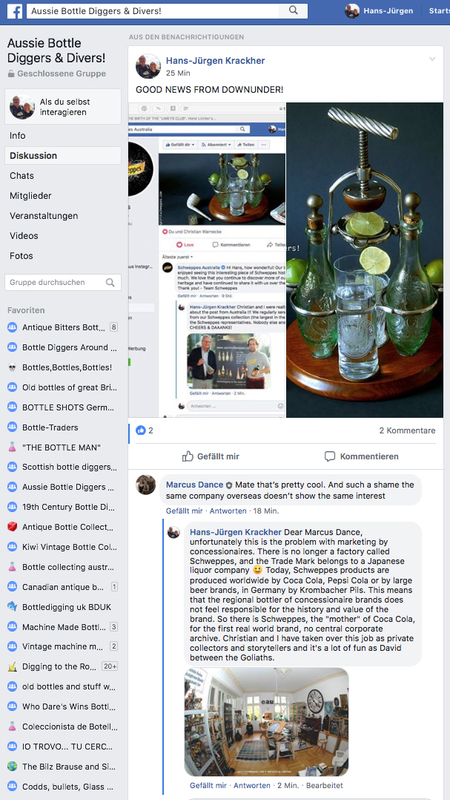 So there is for Schweppes, with Spa and Selters the genetic “mother” of Coca Cola, no central corporate archive. Christian and I have taken over this job as private collectors and storytellers and – it’s a lot of fun as Davids between the Goliaths. THE BIRTH OF THE “LIMEYS CLUB”. 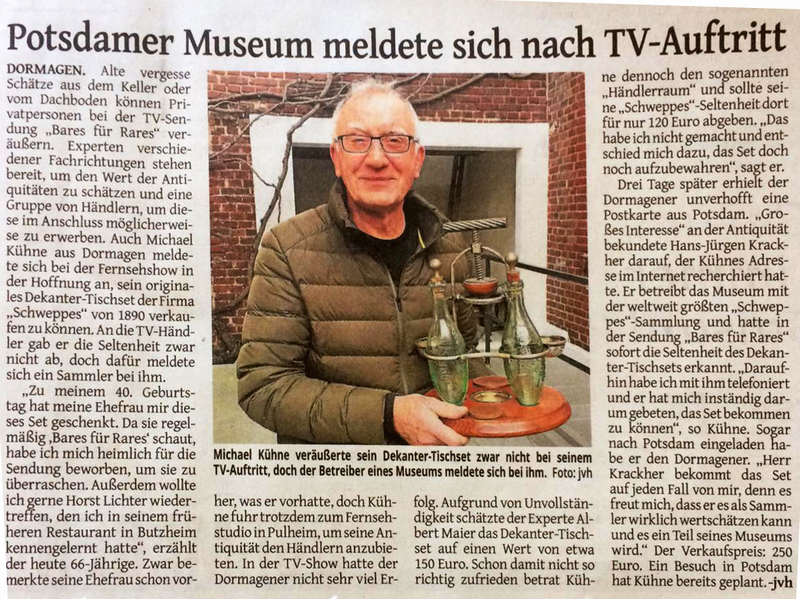 Horst Lichter’s “Bares for Rares” is the most popular antique show on German television. 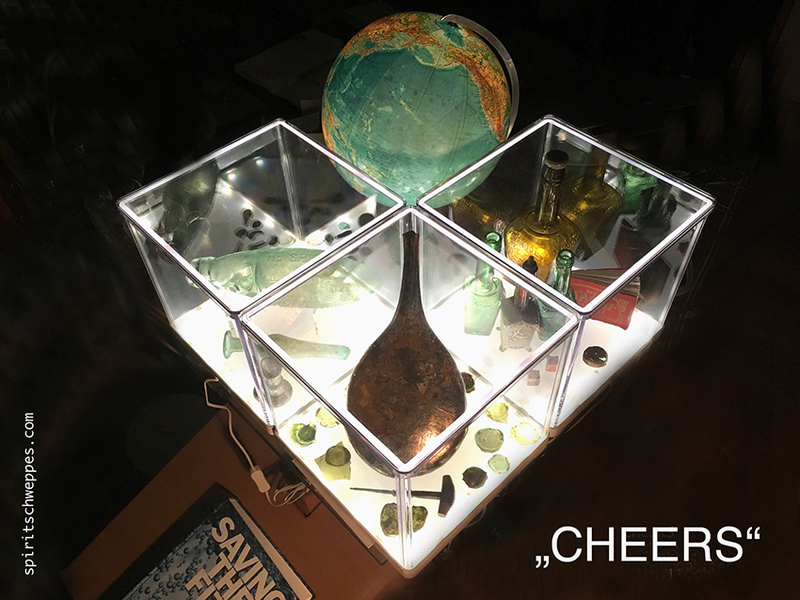 In January 2019 an original Schweppes decanter appeared there. Fitted with two eggbottles incl. 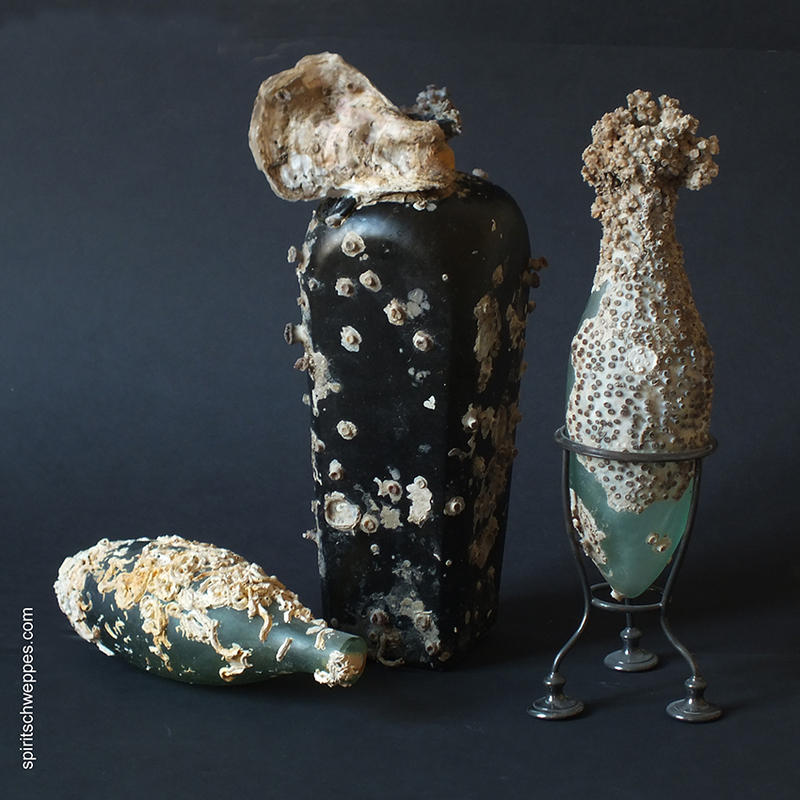 cork stoppers: J. SCHWEPPE & CO.LTD • LONDON • EAUX ARTIFICIAL. • (fountain of great exhibition 1851) TRADE MARK. The experts and dealers could not agree on a purchase. 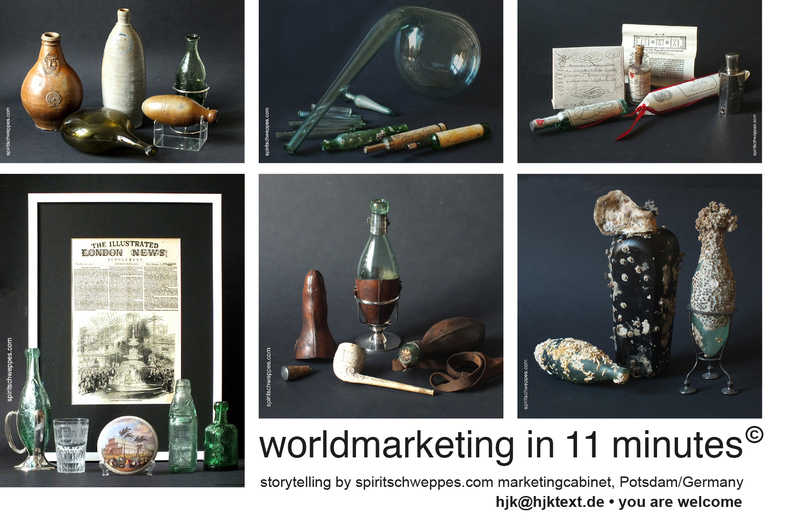 www.spiritschweppes.com -storyteller Hans-Jürgen Krackher and his collector friend Christian Warnecke (No.1 Schweppes-Collector in the Guinness Book) reckoned the seller and agreed on the purchase. 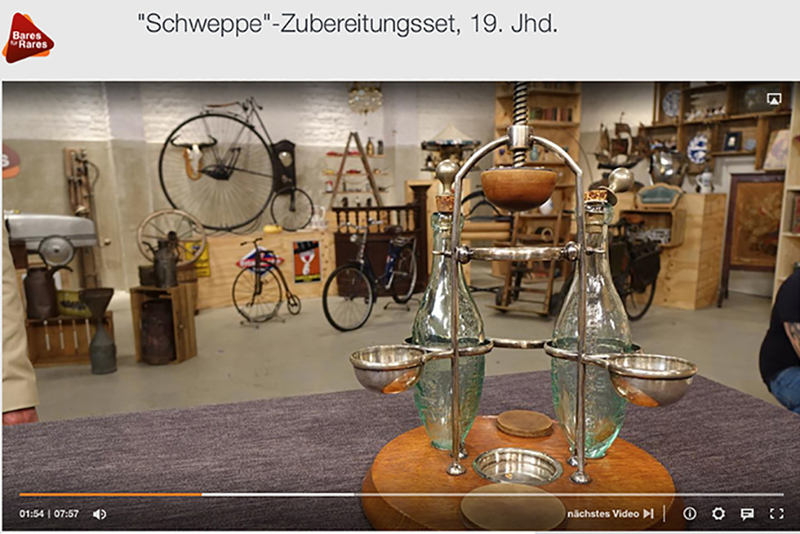 The original Schweppes decanter from about 1890 with embossing bottles in English-French is now a star of the digital spiritschweppes-collection. 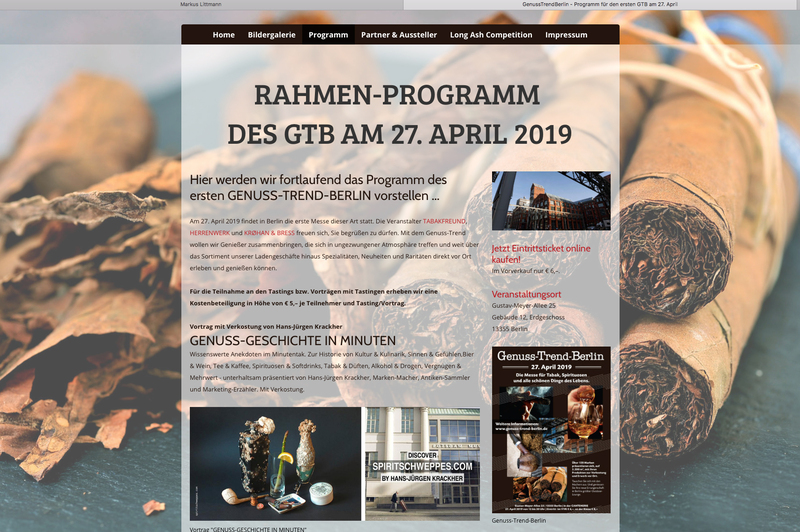 all nice followers are cordially invited to live-tasting at Hans-Jürgen Krackher’s Marketing-Cabinet in Potsdam / Germany. 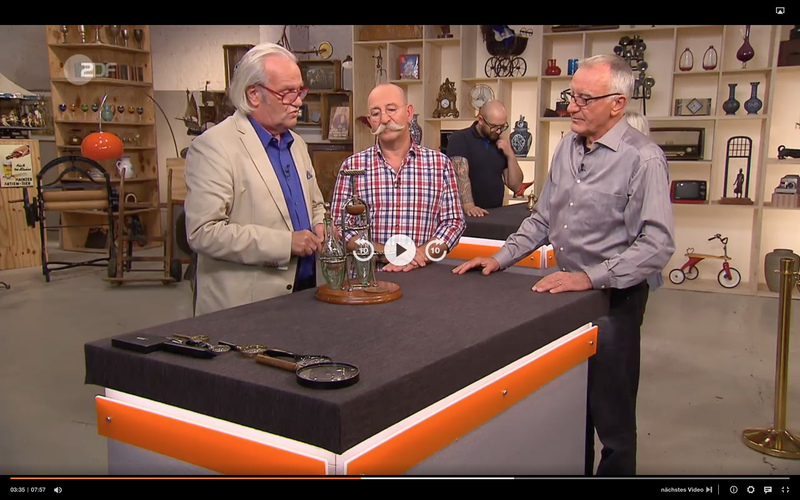 Horst Richters “Bares für Rares” by ZDF Zweites Deutsches Fernsehen, Germany. 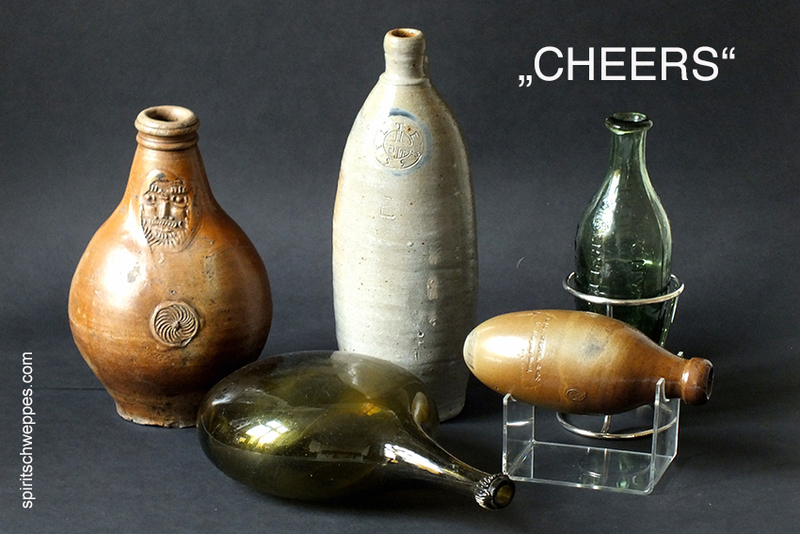 From Granny’s kitchen cupboard to a coveted collector’s item, every kind of junk is sold. 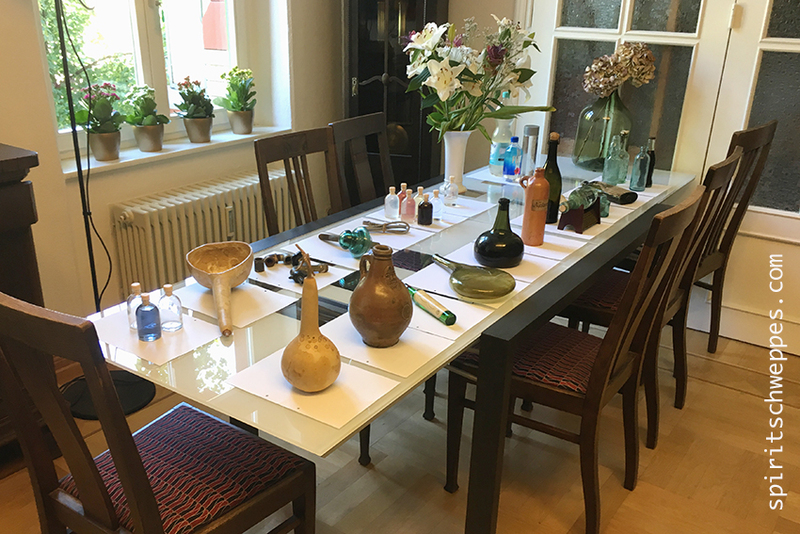 The moderator mediates between the providers and traders and presents not only the often curious items, but also their owners. 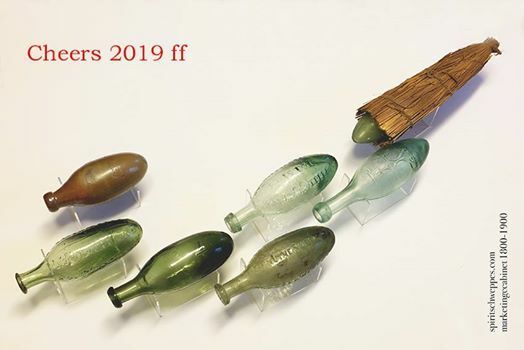 lasst leere flaschen geschichte erzählen • let empty bottles tell the story • laissez les bouteilles vides raconter l’histoire • deja que las botellas vacías cuenten la historia • lascia che le bottiglie vuote raccontino la storia • deixe garrafas vazias contar a história • Пусть пустые бутылки рассказывают историю • Αφήστε τα κενά μπουκάλια να πουν την ιστορία • Boş şişelerin hikayeyi anlatmasına izin verin • Laat lege flessen het verhaal vertellen • 让空瓶子讲故事 • Laat leë bottels die storie vertel • Nechte prázdné lahve vyprávět příběh • Låt tomma flaskor berätta historien • اسمحوا زجاجات فارغة تحكي القصة • खाली बोतलों को कहानी कहने दो • Leig leis na botail falamh innse an sgeulachd…..
2019 : visit spiritschweppes at Potsdam, Germany, you are welcome! Brand care is usually the sole responsibility of the company. In the case of Schweppes, a private citizen has taken on the task. A home visit. 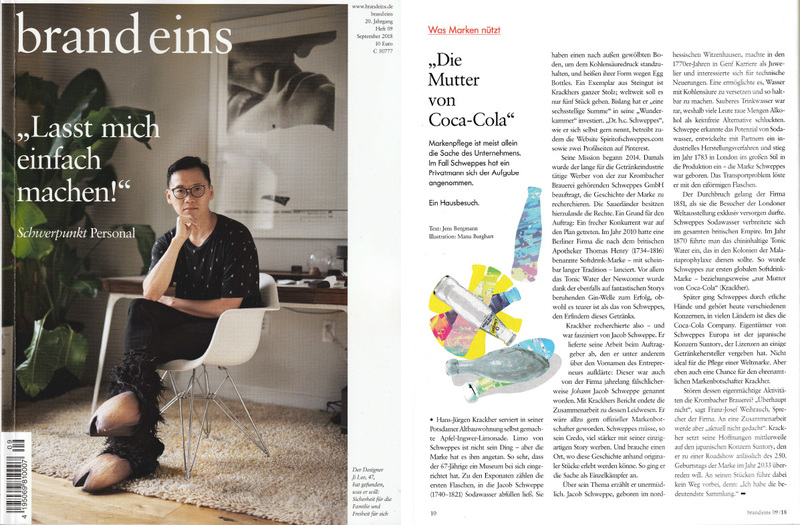 • Hans-Jürgen Krackher serves homemade apple and ginger lemonade in his apartment building in Potsdam. Limo von Schweppes is not his thing – but the brand has done it to him. 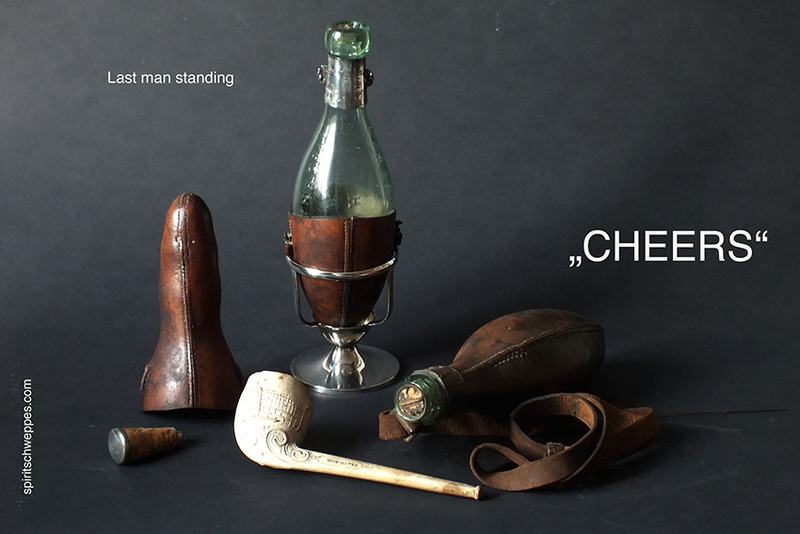 So much so that the 67-year-old has set up a museum with him. 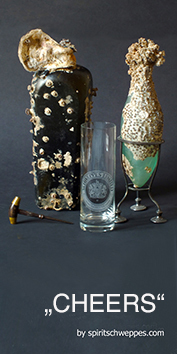 The exhibits include the first bottles in which Jacob Schweppe (1740-1821) filled soda water. 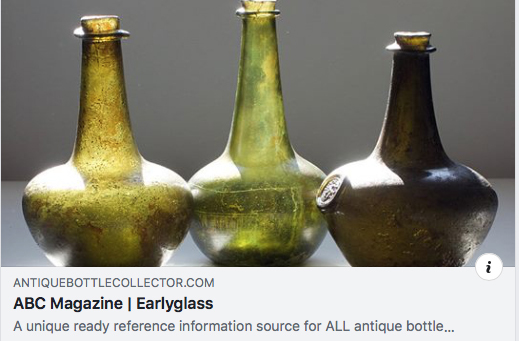 They have an arched bottom to withstand carbonic acid pressure and are called Egg Bottles because of their shape. 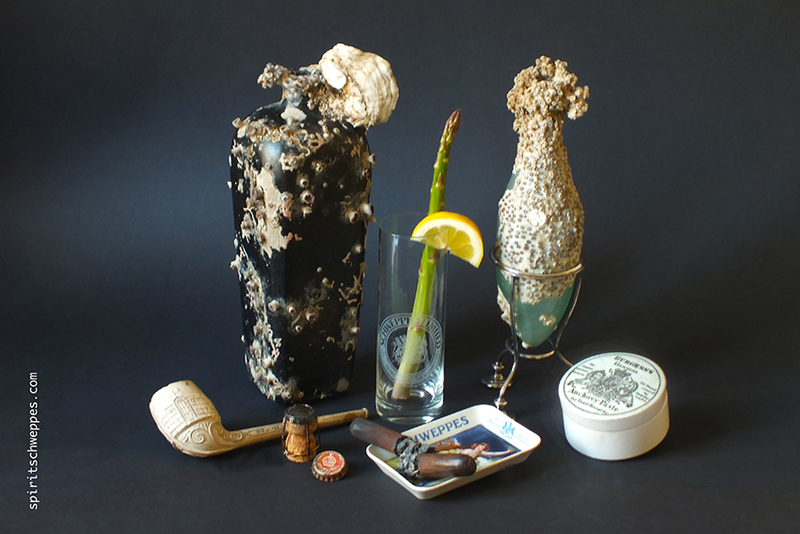 A stoneware specimen is Krackher’s pride; There are only five of them worldwide. So far, he has invested “a six-figure sum” in his “Wunderkammer”. “Dr. 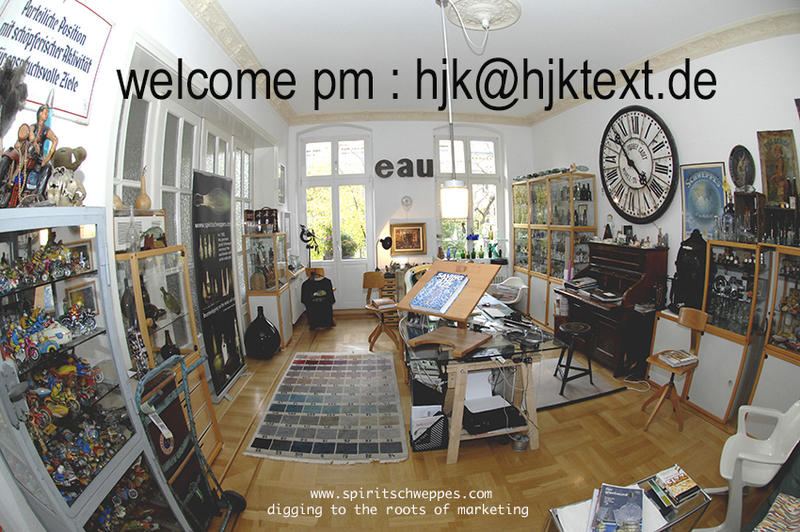 h.c. Schweppes “, as he likes to call himself, also runs the website spiritschweppes.com and two profile pages on Pinterest. His mission began in 2014. At that time, the advertisers, who had been working for the beverage industry for a long time, were commissioned by Schweppes GmbH, which belongs to the Krombacher brewery, to research the history of the brand. The Siegerländer own in this country the rights. One reason for the order: A naughty competitor had stepped on the plan. 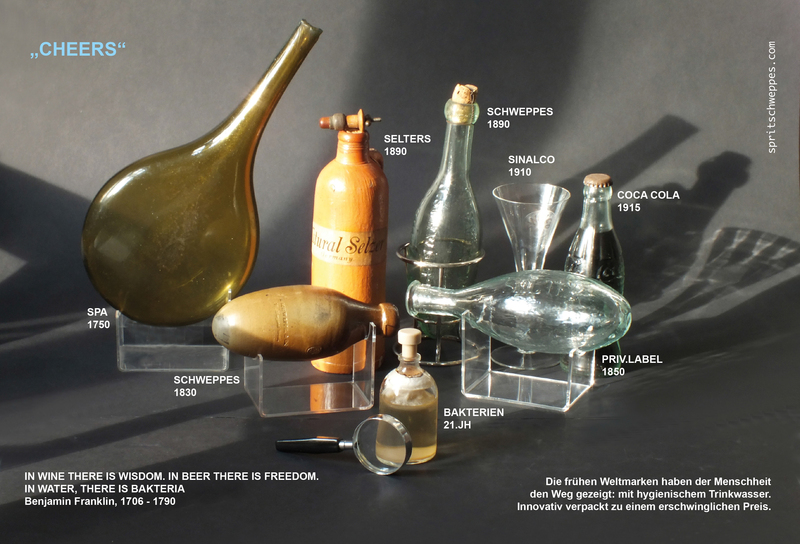 In 2010, a Berlin-based company had launched the soft drink brand named after the British pharmacist Thomas Henry (1734-1816) – with a seemingly long tradition. 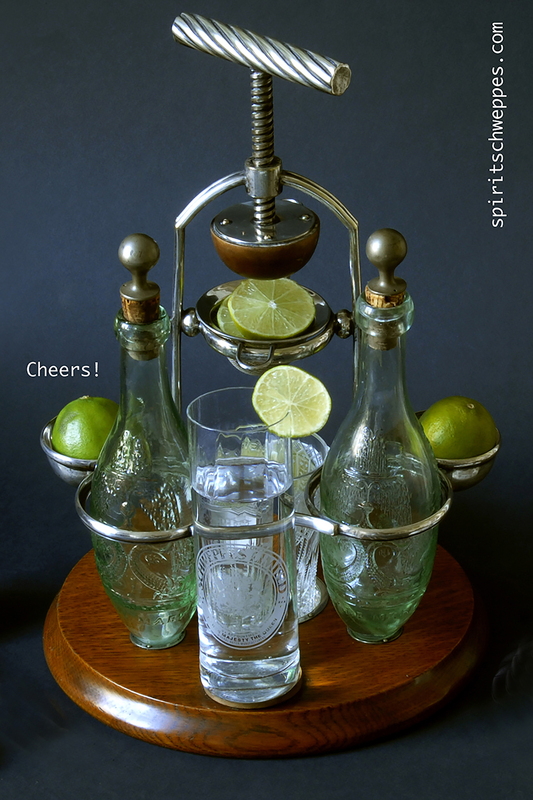 Above all, the newcomer’s tonic water has become a success thanks to the gin wave, which is also based on fantastic stories, although it is more expensive than that of Schweppes, the inventors of this drink. 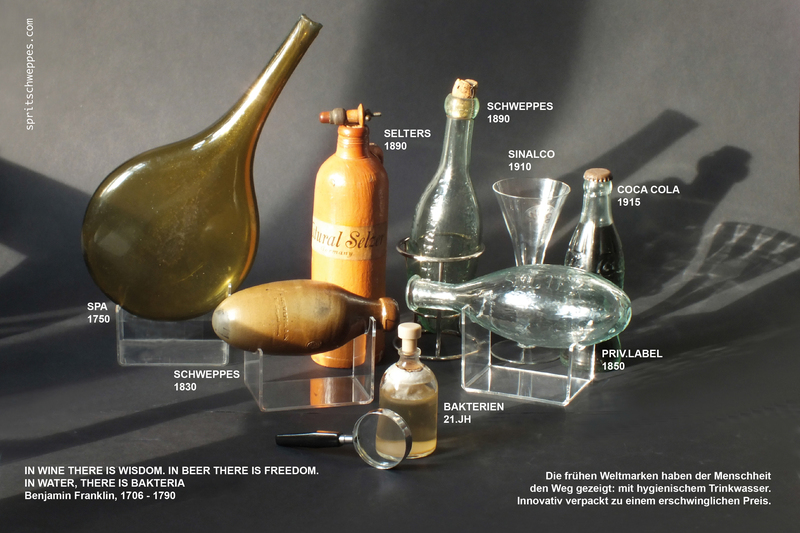 Krackher researched – and was fascinated by Jacob Schweppe. He delivered his work to the client, which he enlightened, inter alia, on the first name of the entrepreneur: this was for years incorrectly named by the company Johann Jacob Schweppe. With Krackher’s report, the collaboration ended in his grief. He would have liked to become an official brand ambassador. Schweppes, according to his credo, must advertise much more strongly with his unique story. And need a place where this story can be experienced with original pieces. So he tackled the matter as a lone fighter. He tirelessly talks about his topic. Jacob Schweppe, born in Witzenhausen, North Hesse, made his career as a jeweler in Geneva in the 1770s and was interested in technical innovations. One made it possible to aerate water and make it so durable. 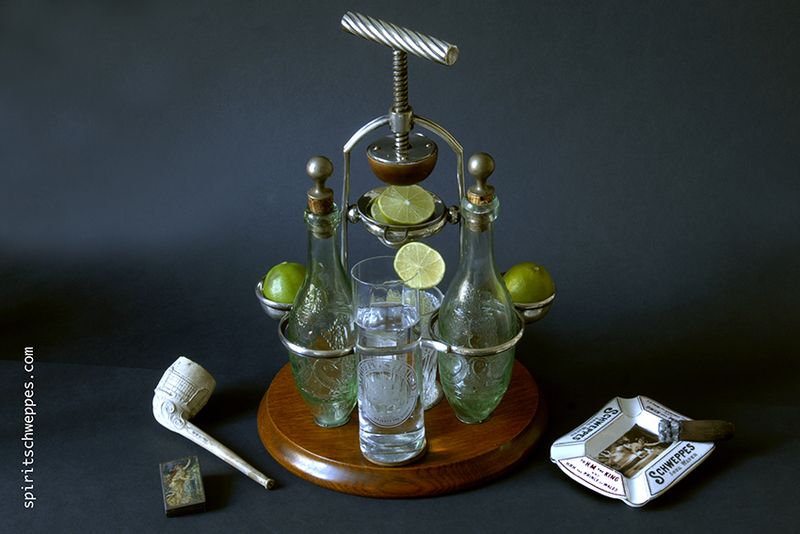 Clean drinking water was rare, which is why many people swallowed rough amounts of alcohol as a germ-free alternative. 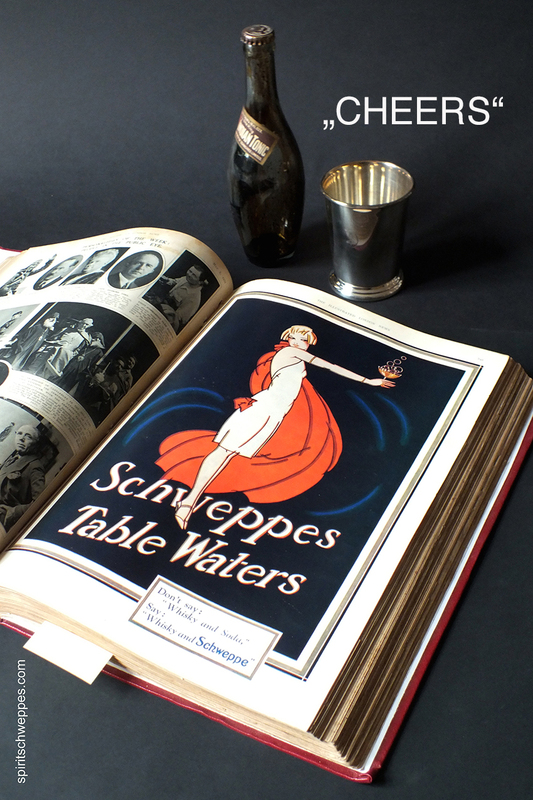 Recognizing the potential of soda water, Schweppe developed an industrial manufacturing process with partners and entered production in London on a grand scale in 1783 – the Schweppes brand was born. The transport problem he solved with the egg-shaped bottles. The company achieved its breakthrough in 1851, when it was exclusively able to supply visitors to the London World’s Fair. Schweppes soda water spread throughout the British Empire. 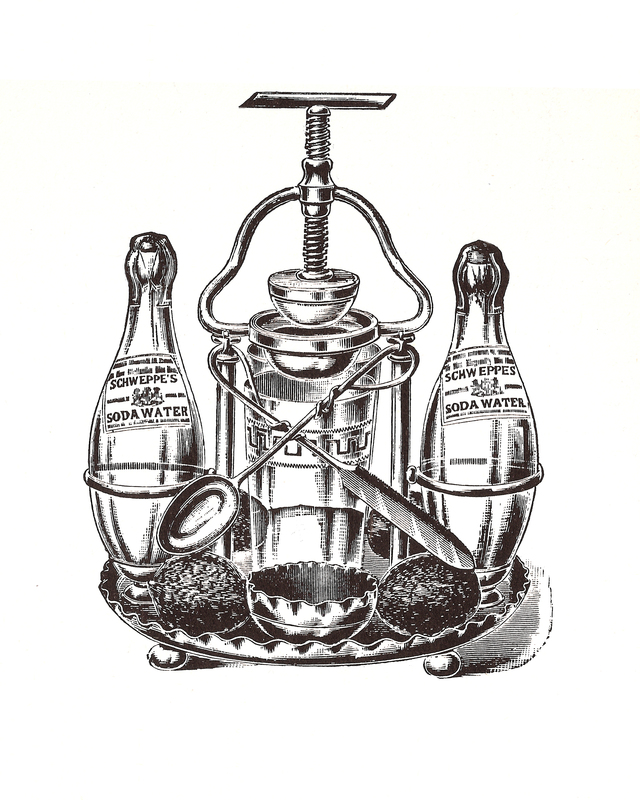 In 1870, the quinine-containing tonic water was introduced, which was to serve in the colonies of malaria prophylaxis. So Schweppes became the first global soft drink brand – referring to “the mother of Coca-Cola” (Krackher). Later Schweppes passed through several hands and today belongs to various corporations, in many countries this is the Coca-Cola Company. Owner of Schweppes Europe is the Japanese company Suntory, which has granted licenses to some beverage manufacturers. Not ideal for the care of a global brand. But also a chance for the volunteer brand ambassador Krackher.